Imagine a society without pain, without fear, without loneliness, hunger, or war. Imagine a community where kids are brought up at an early age to be active citizens, to value politeness and precision of language, and to seek sameness over difference in one another. Imagine you are selected, at age twelve, to receive the collective memories of a community, to bear the terrible hardships of the past, for the sake of a community that has forgotten what it means to be human. This is the story of Jonas, Lois Lowry’s ordinary protagonist in her Newbery Award winning novel The Giver. Two decades after publication, The Giver is still making a difference for young readers and continues to have a profound impact on these readers into adulthood. The book resonates with people in a deep way. The Giver has found its place on assigned middle school reading lists and banned-book lists alike. Lois receives dozens of emails a day from children who read the book and from adults, now twenty years older than when they first encountered The Giver. Recently, Lois received an email from a young man—probably in his thirties, Lois says—telling her a story about working as a volunteer on a suicide hotline. The man received a call from a police officer who was thinking of taking his own life. Over the course of his career, the police officer had seen so many terrible things. He had “bottled it all up,” Lois says, and couldn’t live with the painful memories anymore. “It evoked for this … volunteer at the hotline, the memory of the book he had read as a teenager, about an old man who had to live with terrible memories and then began to share them with the boy. And so he asked this man on the other end of the hotline to read this book,” Lois recalls. The police officer read The Giver and later contacted the volunteer again. The urge to take his own life had passed. The man writing to Lois went on to become a police officer himself and was making a documentary film about the trauma experienced by police officers who had seen horrible things that most people never have to see. He wanted to give a signed copy of The Giver to each of the police officers in the film. “It’s an example of how the book touched someone in ways I could never have anticipated,” says Lois. Lois also received a letter from a Trappist monk. Trappist monks are part of a silent order, spending their days praying and reading. This particular monk read The Giver and found resonance between the community in the book and his own community of monks. For two decades, people have encountered The Giver by reading words on a page and now this beloved, haunting novel will take center stage again in August on the big screen. The movie version has been a long time coming. 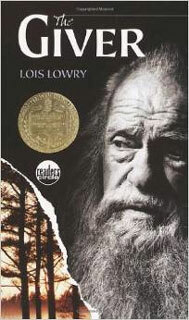 Shortly after the book was published in 1993, Lois was approached by Jeff Bridges with the idea of turning The Giver into a movie. “His kids had read the book in school; he’d been attracted to the book because of the picture on the cover. He’d been looking for a movie in which to star his father. So he bought the rights all those years ago, and then it just never got made for a zillion different reasons,” Lois says. Since then, Bridges’s father died and enough years have passed for Bridges to have aged enough to play the character of the Giver himself. Now he’s a producer and the star, and Philip Noyce is directing. At least five screenplays have been attempted over the years, and none have made it as far as Michael Mitnick’s. Lois doesn’t have a formal role in the film’s creation, but to her delight, has been invited to observe some of the filming and various stages of movie production. As of this interview, she says she’s impressed with how the filmmakers are tackling the book’s transition into a movie. The creators are staying true to the book’s premise, major themes and ideas, but adding additional visual elements and action that aren’t present in the book. Is it even possible to capture a reader’s experience of a book in movie form? Lois doesn’t think so. “If a thousand people read this book, they’re reading a thousand different books. It’s entirely individualized by each reader. When you go to a movie, the filmmakers are telling you what to see and they’re not requiring you to use your imagination. So if a thousand people sit in the theater they are all seeing the same thing. 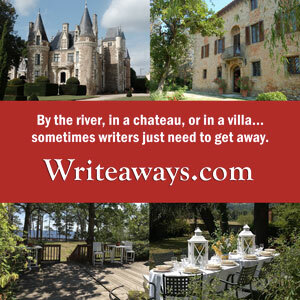 And that’s the way a book and a movie are powerfully different,” says Lois. 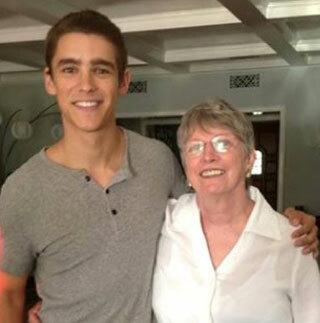 Lois Lowry with Brenton Thwaites, who plays Jonas in the movie. It’s just a different experience, Lois explains over and over to concerned readers. The book and the movie aren’t going to be the same, but hopefully the movie will preserve the elements and emotion that so deeply impacted readers in the first place. One distinct difference between the two is that Jonas is older in the movie. In the book, he is twelve. In the movie, he is sixteen. “I watched part of the filming, and they do a good job, they’re good actors and believable, and the same issues are raised for them, but they’re not children anymore. So that’s going to be very different. It may actually make teenagers go to the book as opposed to a younger audience the book started out with,” says Lois. The story of Jonas and the Giver have practical resonance for the injustices people face around the world. Like the community in The Giver, it’s easier to ignore the problems and forget them than take steps to make a positive change. Shortly after The Giver was published, the Rwandan genocide took place. People felt powerless, Lois says. The same thing happens any time a major world tragedy occurs. “We feel powerless and so we may say, ‘isn’t this terrible?’ but we don’t feel there’s anything we can do about it,” Lois says. But when there are practical solutions to a problem, people are eager to offer assistance. Lois, who lives in New England, mentions a story of when some whales beached themselves on a local beach. “Everybody rushed to pour water over the dying whales, because it’s something they can do and maybe feel as though they’re helping in some way, in the way they can’t help Rwanda or someplace where much larger tragedies are being played out,” she says. Lois has written dozens of novels for children and young adults, many of them touching on issues of injustice and how children can be the heroes. People have told her The Giver is the first futuristic, dystopian novel for young adults, a genre with incredible popularity today. “I think that’s the reason kids like them. They live in such uncertain times and are at some level, aware that they’re going to have to be out there in the future and doing something. And they want to know what to do to make things right,” says Lois. And so she writes stories to entertain and stories to provoke thought and change in a world so desperate for happy endings. 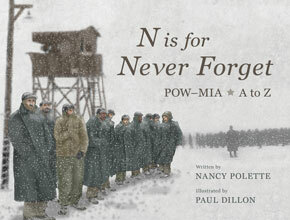 Photos courtesy of Lois Lowry. Feature photo: Jeff Bridges and Lois Lowry. 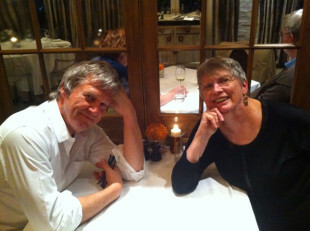 Inset photo: Lois Lowry with Brenton Thwaite, who plays Jonas in the movie. Naomi Krueger is a freelance writer and interim managing editor of Books Make a Difference. She first read The Giver in fifth grade and, in the multiple readings since, the book has continued to resonate. To contact Naomi or read her blog, visit www.NaomiKrueger.com.